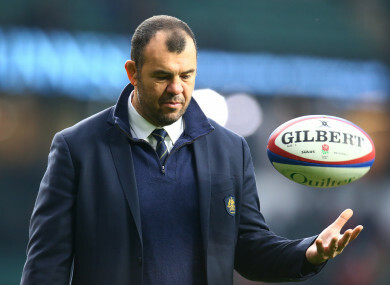 Michael Cheika: former Leinster boss hasn't spoken to his player about controversy. WALLABIES COACH Michael Cheika said today that Israel Folau’s “disrespectful” anti-gay comments had ruled him out of selection as the World Cup looms. Wallabies sponsor Qantas was among the critics and Rugby Australia, which said it intends to sack him, issued a formal code of conduct breach notice. Email “Australia star Folau handed sack notice as Cheika rues 'disrespectful' anti-gay comments ”. Feedback on “Australia star Folau handed sack notice as Cheika rues 'disrespectful' anti-gay comments ”.